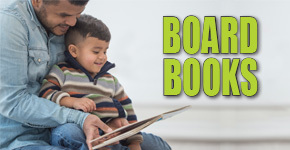 BTSB offers a selection of over 130 board books. These board books are encased with a BTSB KidProof cover ensuring a longer life. Click on picture for a complete list. A variety of bookmarks digitally printed on BTSB KidProof cover material to be used in makerspaces and libraries. 50 bookmarks per bundle. BTSB can provide high quality durable Dictionaries & Thesauruses. Engage and encourage readers by adding a three-dimensional character. 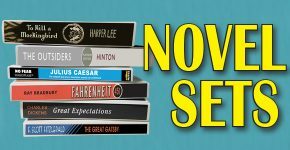 Special discounted pricing on quantities of 25 books or greater. Over 3,500 PLAYAWAY® audio books available. Links to our Showcase Magazine, Popular Series, Curriculum Tie Ins, National Awards, State Lists, Cream of the Crop, and Hot Titles! Click on picture to print a list or place an order. 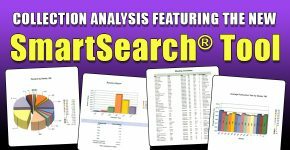 Use SmartSearch® Tool to create library book collections that are balanced, appropriate, and support the curriculum and intellectual needs of your students and your school. Order 25 or more copies of the same title and BTSB will digitally print your school or district logo on the book cover for FREE! 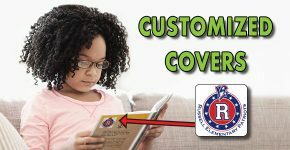 BTSB offers over 20,000 high quality books in our durable KidProof™ covers. BTSB prebound books are unconditionally guaranteed against imperfections in the binding or errors in processing. Click on picture to visit the BTSB Bookstore. BTSB's 98 years of experience can make your job easier. Click on picture to find out why you should choose BTSB. 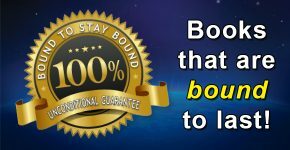 Bound to Stay Bound offers advanced orders on some of the most popular new titles, delivered in a BTSB prebound edition on the release date. Click on picture for upcoming presale titles. A wide variety of customized processing services are available. Click on picture for processing packages and customization information. Keep your finger on the pulse of recent releases with help from BTSB! Click on picture for more information and to sign up for series alerts. Support Our Library is a free web donation service offering schools a unique way to add new books from your library's wish list into your collection. Click on picture to get started.